Air Canada announced today the strategic expansion of its international network from Vancouver with new services launching June 2018 to Paris and Zurich, and the start of year-round flights to Melbourne. All flights will be available for purchase starting September 6 at aircanada.com or through travel agents. In addition, Air Canada is increasing its non-stop Delhi flights from Vancouver that resume October 14, with up to five times weekly service for the 2017/2018 season, and increasing its London-Heathrow service with twice-daily flights for summer 2018. All new routes are timed to optimize connectivity at Air Canada's Vancouver hub to and from the airline's extensive network across North America. The new Vancouver-Zurich flights will connect to and from destinations in Europe, Africa and India with Star Alliance partner Swiss International Air Lines. All Australia flights are timed to connect to and from Adelaide, Canberra, Perth and to Tasmania with codeshare partner Virgin Australia. 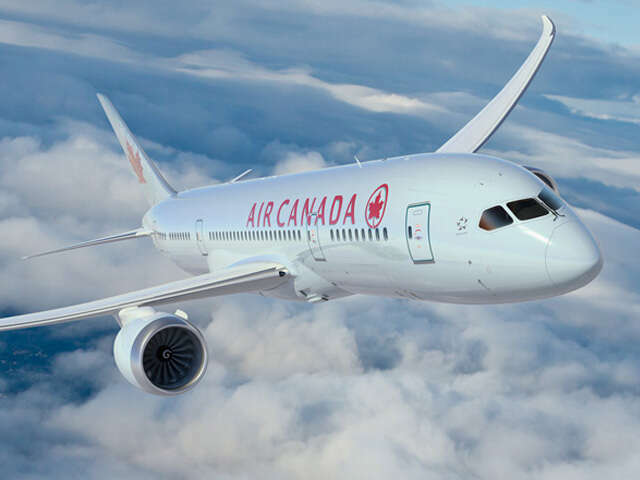 Air Canada's Boeing 787 Dreamliners feature three cabins of service with enhanced definition individual on-demand personal entertainment offering a wide range of movies, short films, TV programs and audio selections at every seat throughout the aircraft. All flights provide for Aeroplan accumulation and redemption, Star Alliance reciprocal benefits and, for eligible customers, priority check-in, access to Air Canada's Maple Leaf Lounges, priority boarding and other benefits. So far in 2017, Air Canada has launched new services from its Vancouver hub to: Taipei (year-round), Frankfurt (seasonal), Nagoya (seasonal), London-Gatwick (seasonal), Dallas-Fort Worth (year-round), Denver (year-round) and Boston (seasonal). Delhi seasonal service resumes on Oct. 14 and will increase up to five times weekly for the 2017/2018 season. Still to launch are: Melbourne seasonal flights beginning Dec. 1, Yellowknife seasonal flights beginning Dec. 15, and Orlando seasonal flights beginning Dec. 20. UNIGLOBE One Travel presents its 2nd Annual NFL Experience!